Are you looking for the perfect gift for an adrenaline junkie? The best thing you can do is give them something to look forward to. Our Driving Days are the ultimate adrenaline kick for any motorist and ideal for birthdays, wedding anniversaries, graduations and much more. All you need to do is slip our gift vouchers into their card and they’ll have a ticket to an incredible experience. 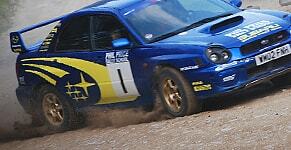 We have four fully prepared rally cars ready to have your loved-one behind the wheel. We also have three instructors who are keen to provide one-on-one tuition. Our instructors always provide a brief introduction to the sport before taking you out onto our scenic course, which overlooks some of the most beautiful Welsh landscapes. When you give someone this kind of gift, they’ll enjoy the experience of a lifetime. Our driving days are also fantastic for spectators, who can watch their loved-one trying out their moves. 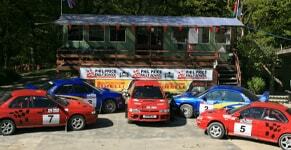 7-hours packed with thrilling action on genuine forest rally stages. At the end of our driving days, your loved-one is guaranteed to leave on a high and if they win our competition, could be leaving with the winner’s trophy! We have many return visitors who have loved our rally experiences so much, they come back for more. Find out more about our amazing driving day gifts today.